In the face of mountains of contrary evidence, Kyiv insisted that the war in the Donbas has been an “anti-terrorist operation” and that the enemy found there are “terrorists” rather than the Russian soldiers that most of them are. In recent days, Moscow has dropped any pretence and is dispatching battalions across the border essentially openly. Once commonplace efforts to mask insignia identifying these units as regular Russian troops have dissipated as Vladimir Putin feels he no longer needs to hide his aggressive presence in Ukraine. 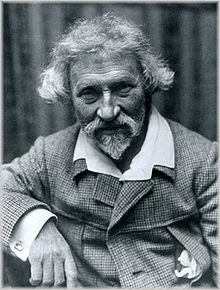 The Russian artist Ilya Repin was as great in painting as Leo Tolstoy was in literature. His pictures carry a true Russian flavor. 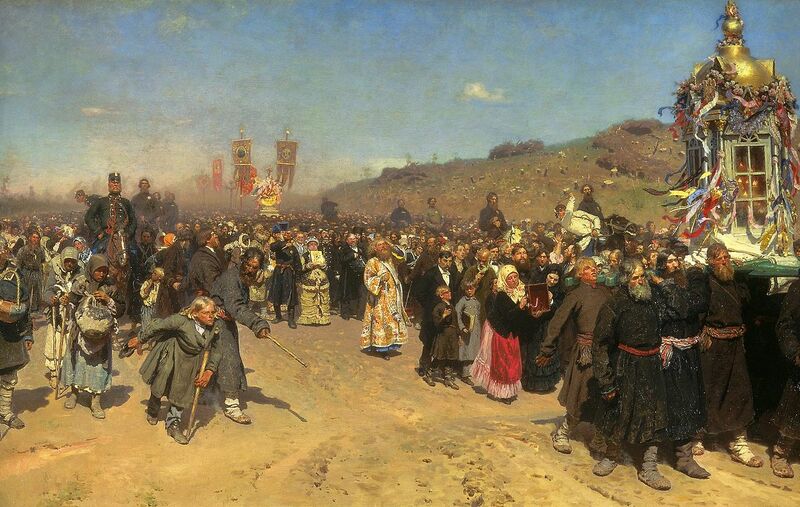 For one, Religious Procession in Kursk Province was characterized by Richard Brettell, an internationally respected art historian, as a “summa of Russian society, diverse members of which move uneasily but restlessly together down a dusty path through a naked landscape towards a future that cannot be seen even by the painter.” Or take Repin’s famous work Ivan the Terrible and his Son Ivan depicting the historical 16th -century story of the Russian czar mortally wounding his son in a fit of rage. 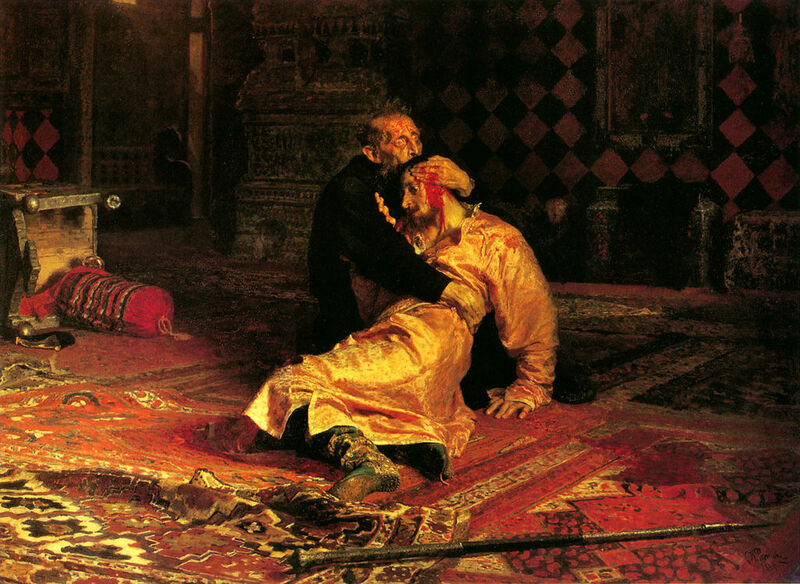 The Emperor’s face is fraught with terror, as his son lay quietly dying in his arms, blood dripping down the side of his face, a single tear on his cheek. You look at the son and you see the whole of Russia. The picture Barge Haulers on the Volga depicts quite different people. Laboring men are pulling a large boat upstream the Volga River. They are about to collapse in exhaustion. You may call them stoical and even, to a certain degree, heroic, but the impression is that they have put up with their fate. For me, these two pictures parallel the two nations as they are now, in the beginning of the 21st century. Alexander Bednov, a prominent rebel commander in the separatist eastern region of Ukraine was killed when separatist security forces tried to arrest him. An arrest warrant for Bednov and several other battalion members had been issued by separatists’ prosecutors’ office for murder, abduction, torture and other abuses. What happened doesn’t look like a case of mere infighting among rebels. Bednov (the moniker “Batman”) was too influential and too well-guarded to be done away with so easily. The present-day leader of the separatist region Igor Plotnitskiy wouldn’t have dared to dispose of Bednov without the Kremlin’s consent or without, what is more likely, its direct participation. Besides, all other separatists’ commanders also have their own cellars where they practice torture and murders – à la guerre comme à la guerre – so it wouldn’t be logical to accuse only Bednov of the crimes other war lords are not accused of. Sooner, it was Putin’s attempt to consolidate the motley rebellion forces before the multi-party negotiations on the future of the region (with the participation of the West) – just to demonstrate that the separatists are united and authoritative enough to come up with their demands. However, there’s another implication in here if we consider late Bednov’s political views. He was a an adherent of a new state in the region– Novorossiya, and a strong opponent to the Donbass remaining a part of Ukraine, while other leaders (including the financial mogul Plotnitskiy) are less radical and more controllable by Moscow. Apparently, it would be more preferable for Putin not to “feed” the Donbas but to keep it officially integrated in Ukraine, control Ukraine by proxy and, of course, have western sanctions cancelled. When we look back into history, an analogous case may be traced in the Spanish civil war in the 1930s. The pro-Moscow Spanish communists headed by Dolores Ibarruri and Jose Diaz had a conflict with more radical (Trotskyist) Workers’ Party of Marxist Unification (P.O.U.M. ), which is why Josef Stalin sent the Soviet intelligence officer Alexander Orlov with his task group to liquidate Andreu Nin, the P.O.U.M. 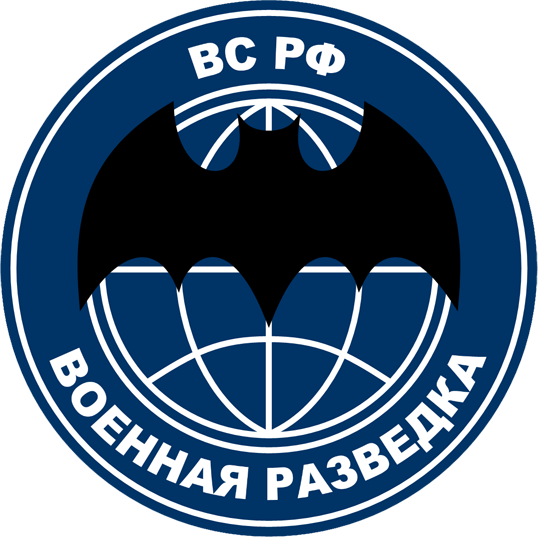 leader – very much like the Russian secret service task force was sent this time to murder Bednov. IMHO, Bednov, in the capacity of the Donbas leader, would have accorded more with Ukraine’s interests than Plotnitskiy. I don’t like the idea of the Donbas being a political hot potato in my country’s hands. Apparently, my colleague was referring to problems other than technical. In 1961 President Kennedy proclaimed a manned landing on the Moon. Soon afterwards Nikita Khrushchev reportedly said to leaders of the Soviet rocket industry: “”Do not leave the Moon to the Americans. Anything you need in order to do it, will be provided.” In August 1964 the Soviet government finally gave full go ahead to the lunar landing effort, but two months later, in a palace coup, Khrushchev was forced to step down, which also meant the death of the Soviet lunar project. Russia (which, for appearances’ sake, named itself the “USSR” for a period of seven decades) has never been a fertile ground for technical innovations. Ideas were produced but they almost never caught on. At my high school the teachers never missed an opportunity to emphasize the priority of Russian inventors as compared to foreign scientists. All of us knew that Pavel Yablochkov and Alexander Lodygin were the first in the world to invent an electric bulb, Ivan Polzunov made the steam engine before James Watt, the Periodic Table of chemical elements was developed by Dmitriy Mendeleyev and every pupil could tell you that May 7th was “Radio Day” – i.e. the day when Alexander Popov invented the radio (the date was celebrated nationwide every year). On the other hand, our teacher never told us about what used to happen to those inventions after they were made. Polzunov’s project was sent to Empress Catherine. She awarded him 400 rubles and promotion two ranks (to captain-poruchik) but did not seem to appreciate the new technology, as she recommended hydropower (not steam) be used to return the pistons as done in Britain. After Ivan Polzunov’s death at age 37 the machine worked three months, then was disassembled and replaced by convenient hydropower, despite paying off its costs in those three months. Even more illustrative is the example of Yablochkov’s arc lamp (“candle”). Yablochkov experimented on arc lighting in Russia. By the autumn of 1875 he had moved to Paris where in 1876, he was awarded French patent # 112,024 for his electric candle. The first public exhibition of the candle was in London on 15 April 1876. It enjoyed immediate success and popularity. The Yablochkov candle could burn for an average of one and a half hours in a lamp before the candle had to be replaced. The candles rapidly increased in popularity as another exhibition was held in London on 17 June 1877. Their first commercial use was at the Louvre in October 1877 (that’s when Paris got its nickname that it’s still called today—“The City of Lights”). Units were sold in many European countries including Belgium, Spain, Portugal, Sweden and Greece, as well as in cities on other continents including Rio de Janiero, Mexico City, New Delhi, Calcutta, and Madras. The Shah of Persia and the King of Cambodia used the candles for illuminating their palaces. At the height of the candle’s popularity, the 8,000 of the candles were produced in France per day. The Russian government persuaded Yablochkov to come back to Russia after he got rich in France—and to do it in Russia. He came back, started a company, and went bankrupt—he couldn’t find investors! He couldn’t even get the hotel he was living in to install his lights. They preferred gas lights! 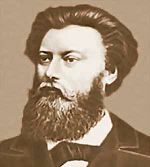 In the long run, Yablochkov returned to his home province of Saratov, and set up an office where he worked on plans for lighting the city. 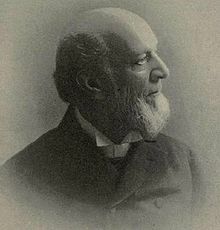 He died on 31 March 1894. Yablochkov was buried in the village of his parents in the Church of Archangel Michael. The church was destroyed by the communist regime in the late 1930s, so in 1947, to commemorate the 100th anniversary of his birth, Sergey Vavilov, then president of the USSR Academy of Sciences, attempted to locate the exact grave site. By interviewing village elders and reviewing archival records he arrived at a probable location, and a monument was erected on this site on 26 October 1952. In 1964 two Russians Alexander Prokhorov and Nikolay Basov and an American Charles Townes shared the Nobel Prize in Physics for inventing the laser. But no Russian company is making money off lasers nowadays. It never went into the Russian inventors’ heads to commercialize the idea. Meanwhile, Charles Townes took out a patent on what he had developed, sold it to a business, got his slice and … Russia is buying all its cameras, printers, etc. from the West. The most recent example is fracking. The Russians developed the idea of hydraulic fracturing in the 1950s. A few articles were published in scientific journals and that seemed to be the end of it. In the 1980 the Americans took it up and now Chevron, Exxon, BP are teaching the Russians how to successfully do fracking. Why so? One reason may be that the social and political environment does not contribute to the implementation of ideas. In western countries successful entrepreneurs are cult figures. 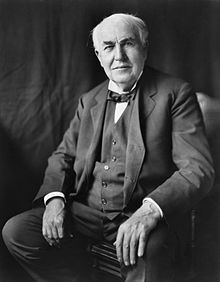 Steve Jobs, Thomas Edison, Bill Gates have iconic status… Stories go about their not particularly having sweated over their courses at school, some of them were even university drop-outs. But they rose to the heights thanks to their brilliant acumen… In Russia scientists shun away from business which is considered by them to be dirty, corrupted and criminal, and which it, for the most part, is. However, knowing the lines and the authorship, I – to my embarrassment – didn’t know in what connection the poet had used the words. A short research revealed that Robert Browning put these words into the mouth of a Renaissance painter Andrea del Sarto, who, possessing unsurpassed technical skills, lacked the spirit and soul of his contemporaries Raphael and Michelangelo. Browning’s poem “Andrea del Sarto” has also another title – “The Faultless Painter.” The protagonist admits that being faultless as a painter, he is only a craftsman, and is stuck with earthly inspirations, but a real talent is able to glimpse heaven. So, let’s not be afraid to reach for something we won’t probably catch. We still capture a SOUL. A RESOLVE for every morning of the New Year: I will this day try to live a simple, sincere and serene life, repelling promptly every thought of discontent, anxiety, discouragement, impurity, and self-seeking, cultivating cheerfulness, magnanimity, charity and the habit of holy silence, exercising economy in conversation, diligence in appointed service, fidelity to every trust and a child-like trust in God. until now!) my passion too, and when my Dad once – some 50 years ago – came home late at night with a German textbook for me, I didn’t get a wink of sleep in my bed that night thinking about how I would begin a new stage of learning in the morning. 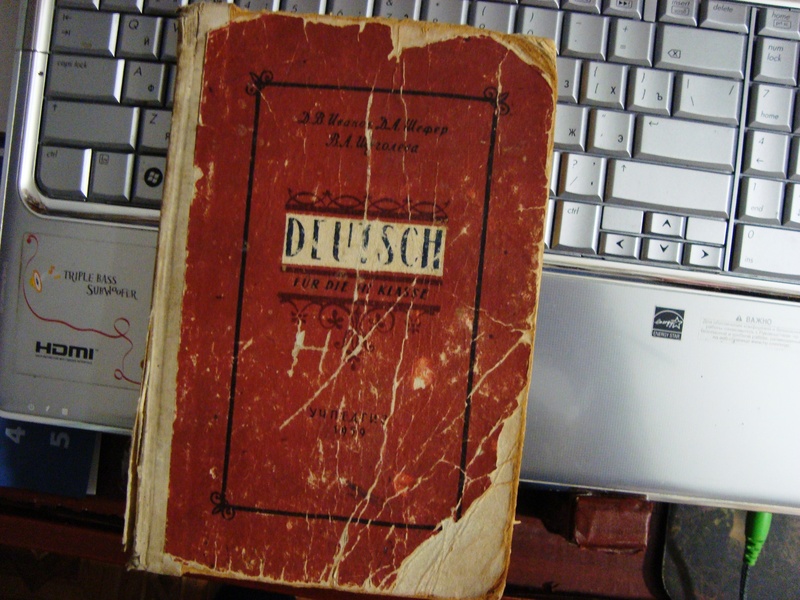 That was a 7th form course book (Deutsch für die VII Klasse), and I have been keeping it on my shelf until today. Even though it is already worn and shabby after it suffered many readings in many hands, it remains so much dear to me. Christmas gift from my daughter. You enter your data in there (your body weight, height, step stride), fix the device somewhere on your clothes and you may forget about it. All through the day the pedometer performs all the necessary calculations while you move about, and each time you decide to look at it tells you how many calories you have already spent. Shall I say how excited I was to get the smart thing? 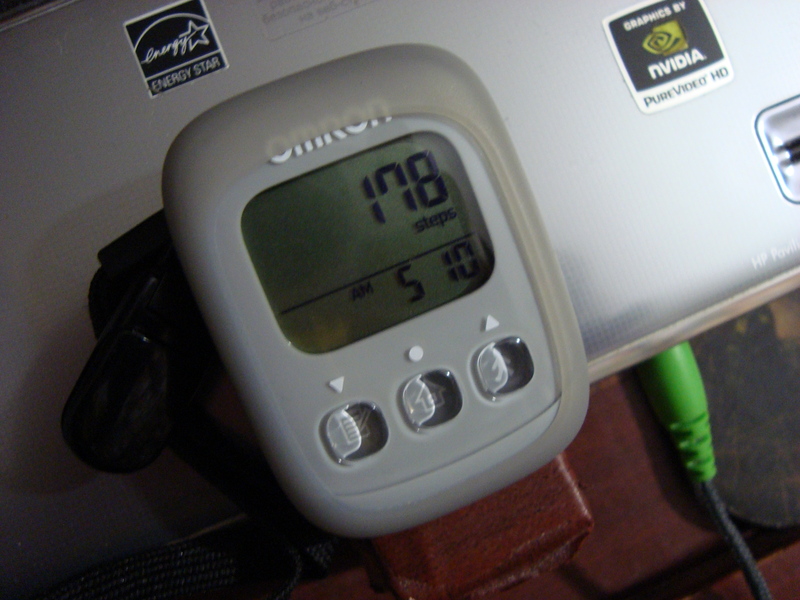 This morning I easily jogged 21 kilometers within 2 hours and 19 minutes having lost about 1,900 kcal! The last time I jogged for so long was a year ago! doing things. The subject matter and methodology used by makers of the Duolingo project for learning foreign languages may be criticized, but the moment I get an automatically processed encouragement in my email box “You are on fire! 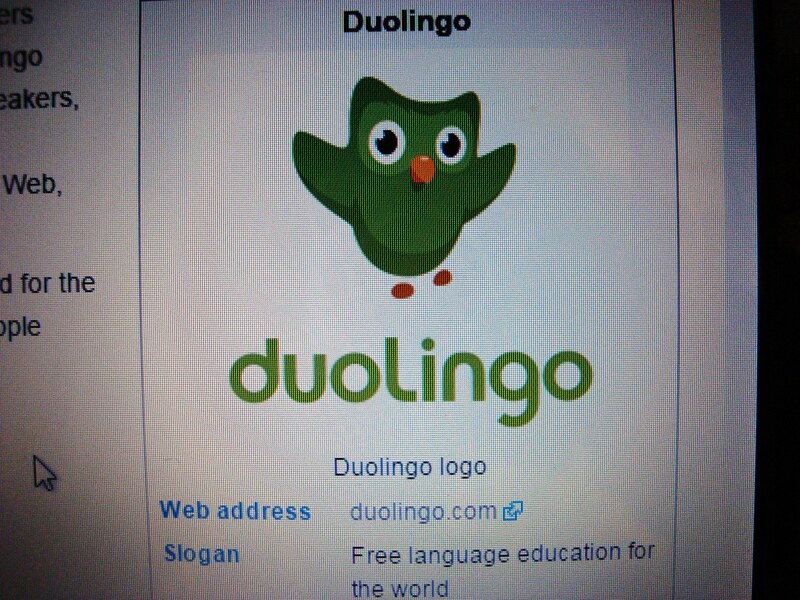 Continue you …-day streak on Duolingo” I open the site again and again doing my daily portion of learning. Yesterday, while seeing the New Year in, we went to the website showing the exact time and welcomed year 2015 the moment all zeroes appeared on the screen. 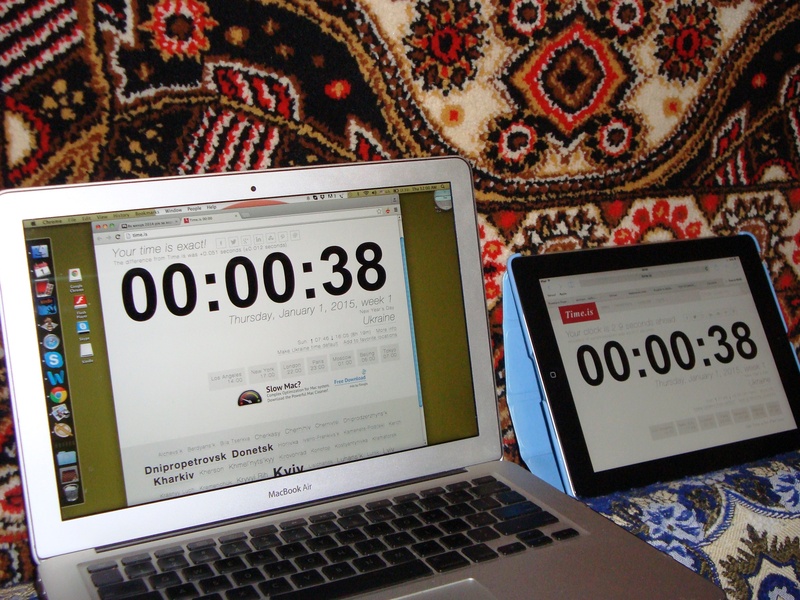 I made pictures of digits showing the time about a minute before and about half a minute after 12 AM. At 00.00.00 exactly my wife, my daughter and I were holding our glasses toasting each other and the future. Precision is my inspiration. JANUARY 1, UKRAINIAN PATRIOTISM, NATIONALISM AND STEPAN BANDERA. A most significant political result of 2014 for Ukraine was the grown national maturity of the people. Thanks to Mr. Putin, more and more people here started to identify with this country and with its (hopefully) European future as opposed to what had been prepared for them by the ex-President Yanukovych and his Kremlin patron. I am even glad for the people of Donbas and Crimea to have separated from Ukraine: let them stay where they are and carry on loving Father Putin as long as they do not attempt to encroach on my land. And, as millions of Ukrainians, I am thankful to those people and governments all over the world who, by their decent and sober stand, managed to bring Putin to his senses – at least for the time being. Regarding their national sentiments, the Soviets were split into patriots and nationalists. If a person was a patriot, it automatically meant that he was a patriot of the Soviet Union: the phrase “a patriot of Ukraine” was oxymoronic – very much like “hot snow” or the “black sun.” If, in some way, the person demonstrated his being a Ukrainian, he was on the Party’s radar screen. When I was being interviewed for my first job in the 1970s, the Party secretary asked me about my family. I told him that a son had been born into our family and added that the son’s name was Bogdan. A couple of weeks after I was employed, the same Party secretary suggested that I should prepare a report at our university’s political seminar about how the Communist Party had solved the national problem in the multinational USSR. 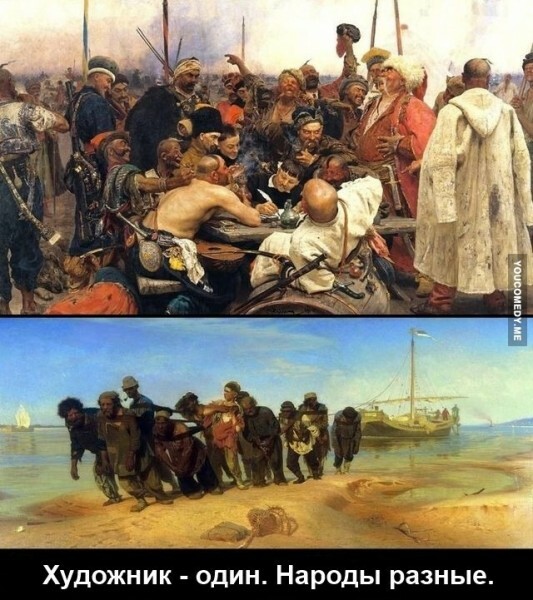 I guessed why the secretary told me to come up with that theme: the name Bogdan was a genuine Ukrainian name and was associated with Bogdan (Bohdan) Kmelnytskyi, the 17th-century national hero of Ukraine. If you insisted on your “Ukrainianism”, you could be categorized as a “bourgeois nationalist.” In this view I would like to make a line of division between a great-power nationalism, which I call “chauvinism”, and the nationalism of an oppressed nation, which is for me equivalent to “patriotism” or, in simpler terms, to the love of one’s own country, to a wish to see one’s country independent and just, free and prosperous, godly and civilized. That love and wish were the driving force for the activities of Yevhen Konovalets, Andriy Melnyk and Stepan Bandera before and during WWII. The Soviet Union left no unturned stone to discredit their names and the ideas of Ukrainian nationalism. For one, Stepan Bandera was accused of collaborating with Hitler during the Holocaust. It was just the other way round: Bandera got imprisoned by the German fascists, while lots of Jews were fighting alongside with the Banderovites against the German fascists – just as seventy years later they were fighting against the Putin-backed Yanukovych. This time they even got a proud name: Judo-Banderovites. Incidentally, I always advise my compatriots to learn from the Jewish people how to love one’s native country and how to build it. And also to how to be nationalists — with the first book of Jewish nationalism being the Old Testament itself. 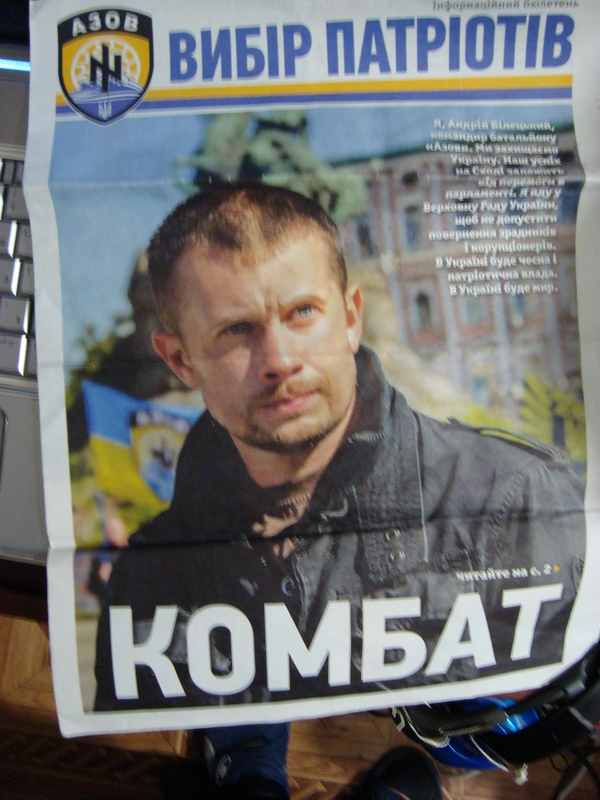 During the latest parliamentary elections in Ukraine the whole of the Obolon disctrict in Kyiv where I live was flooded with leaflets and billboards promoting the candidacy of a local money-bag. However, the victory was gained by a person who was a Maidan activist and a participant in the ongoing war with Russia. I am happy to post his leaflet – I also voted for him. And one finishing touch: today is Stepan Bandera’s birthday. Actually, that was the reason why I thought of writing this blog. You are currently browsing the BLOGGING IS LIVING blog archives for January, 2015.